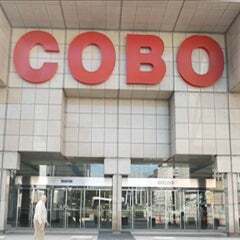 DETROIT — The Detroit Regional Convention Facility Authority today announced that financing for the four-year, $279 million renovation of Cobo Center is now secure after the three participating banks signed the final closing papers for the deal last Thursday. Although the amount of the bonds was announced previously when the Michigan Legislature approved the borrowing, the actual closing of the deal in today’s tight economy is an important milestone, according to the Authority’s CEO Patrick Bero. “The official approval of these bonds is an important juncture in the renovation effort, and paves the way for the final phase of Cobo’s transformation,” said Bero. The bonds were issued after the three participating banks – Wells Fargo Bank, PNC Bank and J.P. Morgan Chase – and the Authority signed the deal on Nov. 3. The bonds were designated Convention Facility Special Tax Revenue and Revenue Refunding Bonds and are structured using two separate series to satisfy tax compliance concerns. Series 2011A is $290 million of tax-exempt financing with contributions coming from Wells Fargo Bank ($126.5 million), PNC Bank ($63.5 million) and J.P. Morgan Chase ($100 million). The tax-exempt portion of the financing will be used to pay for for the majority of the renovation and also refinances a short-term financing closed in 2010, which paid for the Authority’s acquisition of Cobo and certain immediate capital needs. The second issue is Series 2011B, which is taxable, and provides $25 million in additional financing from Wells Fargo which will be used to pay for the cost of issuance, required interest reserves and components of the renovation which are taxable under the tax code. The bond agreements are for three years and are structured to include an additional seven year “take-out” period should the Authority be unable to obtain permanent long-term financing prior to the end of the initial three year term. The Authority plans to back to the market in three years to secure a permanent deal, Bero said. The use of short-term financing at this stage was necessary because of the unique structure of the Authority’s funding formula that is defined through the enabling legislation. The Authority is currently funded annually through the three-county Hotel Accommodations tax, a statewide Liquor Tax and a distribution from the Health and Safety fund. These taxes cover all debt service and the annual subsidy for the operations of Cobo Center. Under the terms of the enabling legislation, the hotel accommodations tax and the liquor tax can only be used to service existing debt (Series 2003) that was borrowed by the City of Detroit for the civic center complex – which includes Cobo Center – and cannot be used for any new debt issue until Sept. 30, 2015, the maturity date of the 2003 bonds. As a result of this language, the Authority does not have sufficient funding to secure permanent financing without incurring over $100 million in additional borrowing for capitalized interest until all three tax streams are available to service the new debt issue in October, 2015. According to Bero, “We all wanted to borrow long-term now so that we could lock in today’s historic all-time low long-term rates while also avoiding market re-entry risk, future interest rate risk and the costs of an additional round of financing. 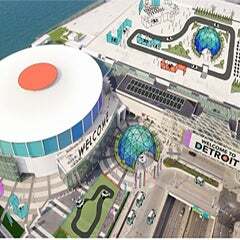 The renovation of Cobo will fundamentally change the exterior appearance and the interior functionality of the home of the North American International Auto Show (NAIS), the Society of Automotive Engineers annual conference and other major shows throughout the year. Renovation work actually began in 2009 and will be fully complete in time for the 2015 NAIAS. Phase One was a $3 million initiative begun in September 2009 on a set of urgently needed upgrades that focused on electrical improvements and leak reduction and completed before the 2010 North American International Auto Show. Phase Two was a $57 million initiative that began in February of 2010 and entails the enclosure of the loading dock, further electrical and lighting improvements, the creation of over 400 new parking spaces under Detroit Hall, a partial re-roofing of the building and an additional 25,000 gross square feet of exhibition space added to the rear of the Wayne Hall. This phase is in its final stages and will be completed before the 2012 NAIAS. The successful completion of these first two phases on time and on budget was critical for addressing the Center’s immediate needs of current longstanding customers. The bonding clears the way for Phase III – the most extensive and dramatic portion of the project. 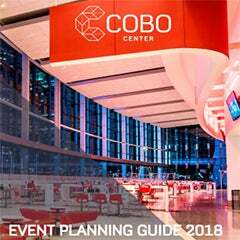 Cobo Arena will be reinvented as ballroom and meeting space, with a 40,000 square foot ballroom that will look out through glass walls onto Hart Plaza over an open-air terrace. It will also feature pre-function space to the south with a panoramic view of the Detroit River and associated meeting and breakout rooms. A three-story atrium also will be created to generate a stronger connection between the facility and the Detroit River. The main building façade facing downtown Detroit on the east side of Cobo also will change significantly. In addition to giving arriving guests more protection from the elements through the addition of an overhang and opening up the interior of Cobo to the city through additional glass walls, a new giant digital signboard will welcome conventions and guests to Detroit and the new Cobo Center. the state’s Convention Fund. For more information, visit the Authority’s Web site at www.DRCFA.org.